Have you ever considered going to an exotic country for a few days? 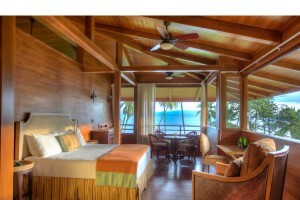 Relaxing, getting your mind off daily problems and just laying somewhere in the sun sipping a cool fresh Piña Colada. 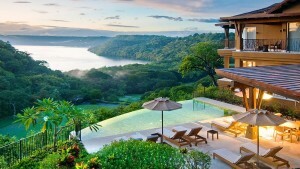 For those who dream about it and are willing to turn their dream into a real experience, Costa Rica is the perfect destination. This tropical paradise gives its visitors a mix of wildlife, luxury and adventure. For those who would like to be amazed by wild, unscathed nature such as the sight of the Arenal Volcano bursting into flames, or take in the beauty of small hummingbirds taking flight, Costa Rica is the perfect location for travelers who wish to relax and those who are more adventurous. If you’ve decided to indulge yourself in a Costa Rican experience, here a few recommendations for an unforgettable holiday. 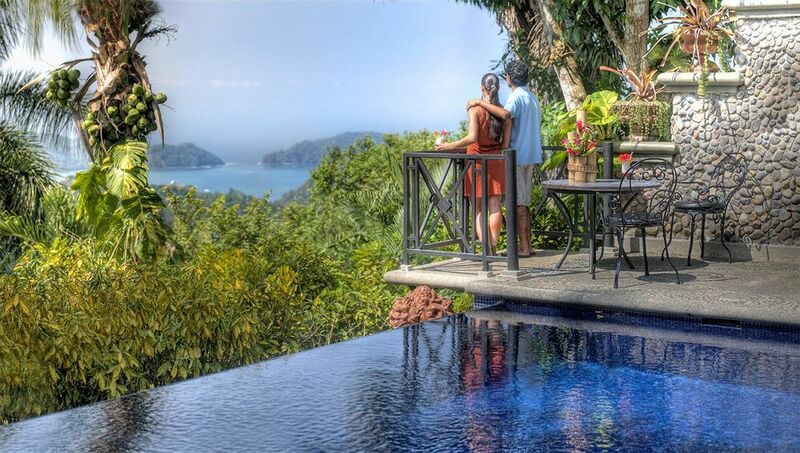 Playa Cativo, a luxury resort located in Puntarenas, waits for its guests to enjoy the views of the Piedras Blancas National Park and explore the 1000 acres of private rainforest. 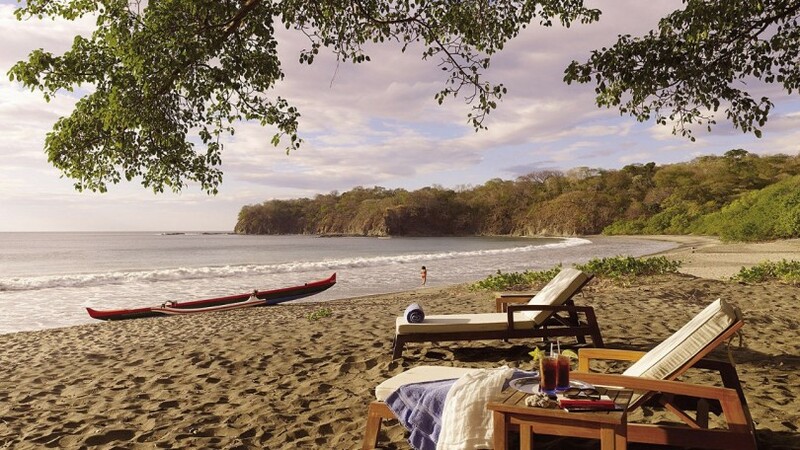 The peaceful beach invites tourists to lounge all day and admire the sights or go for a swim in the clear waters of the Southern Costa Rican coast. Villa Calletas, located at 1150 feet over the Central Pacific, is famous for its incredible view and proximity to the jungle. Visitors love this native resort filled with astonishing décor and Costa Rican charm. 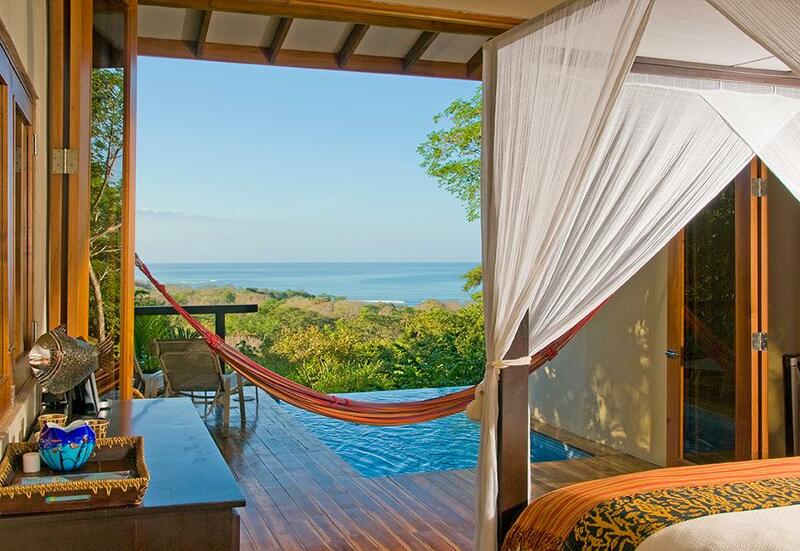 Travelers may choose to enjoy Costa Rica’s many adventurous offerings or soak in indulgence and natural beauty from the confines of their private room. Alta Gracia, located in the southern region of Costa Rica, in the Perez Zeledon Mountains, is also the country’s unique “Boutique Hacienda”. Every visitor will receive a warm welcome from the family who has been running this facility for more than two generations. It only takes a glimpse over The Hacienda in the morning, as the fog turns the mountain black into a cloud, to understand the meaning of pura vida, a phrase used by the locals. Casa Chameleon is located into the beautiful region of Mal Pais and its guests may enjoy a combination of modern utilities and beach bungalow relaxing spaces. 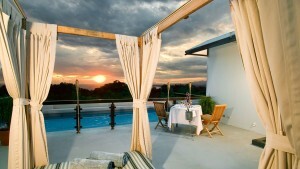 Each of the villas has its own unique charm and offers incredible vantage points of the lush Costa Rican scenery. Guests will enjoy relaxing and taking in the beautiful sights as they enjoy the gentle breeze and warming sun flow throughout idyllic open spaces. 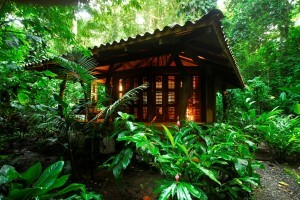 As the name itself suggests, Playa Nicuesa Rainforest Lodge, invites its guests to trek off the beaten path and experience nature firsthand. 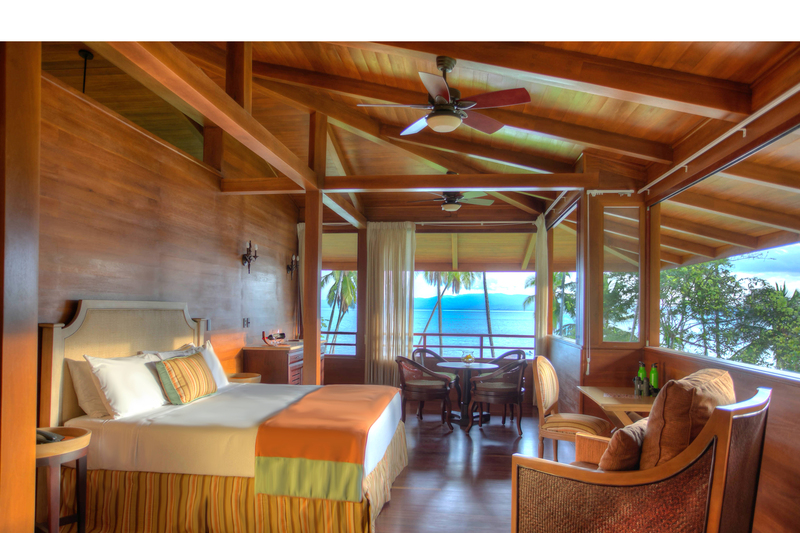 Reachable only by boat, as it is located within the Piedras Blancas National Park, this mesmerizing resort welcomes its inhabitants with a main lodge, cabins and guest rooms, each of them designed to create a subtle transition between indoors and out. Surrounded by abundant green vegetation and just steps away from Costa Rica’s topographic wonders, visitors will leave with a lifetime of memories after their stay at the Playa Nicuesa Rainforest Lodge. 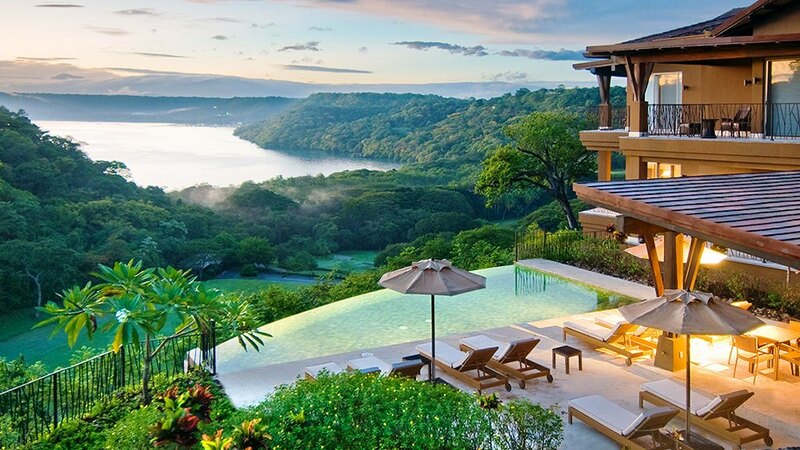 Visitors who visit the Andaz Peninsual Papagayo Resort in Costa Rica never want to leave. 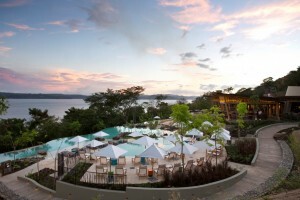 This relaxing slice of heaven is widely regarded as one of Costa Rica’s most relaxing resorts. Located in Guancanaste, this multi-faceted resort is a stunning sight perched over the waters of Costa Rica and allows guests to experience the biodiversity and rich, cultural history of Costa Rica. 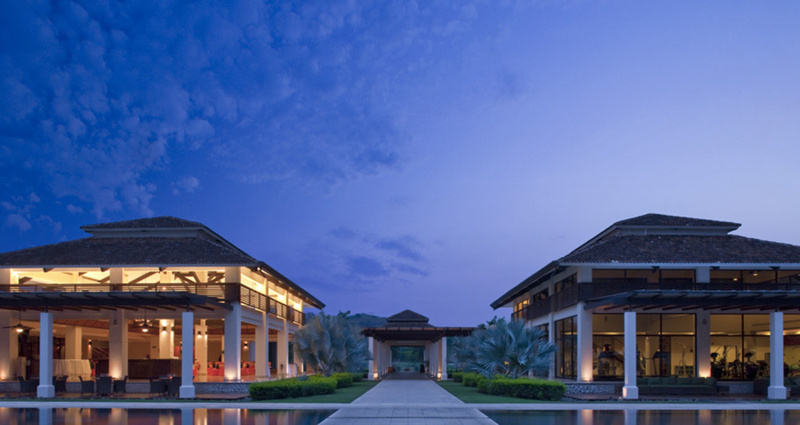 The five-star luxury retreats of Reserva Conchal offer colonial architecture and clear azure sea water near a Beach Club with a unique design. 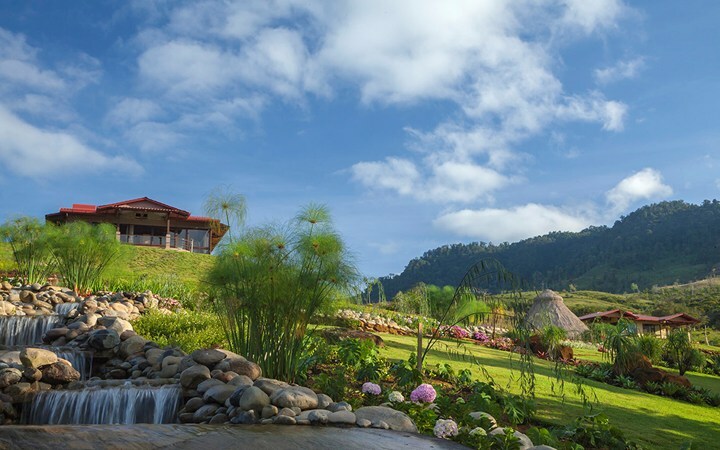 Offering a cultural Costa Rican experience but providing all the luxurious amenities of a 5-star resort, Reserva Conchal also boasts it’s own private golf course. 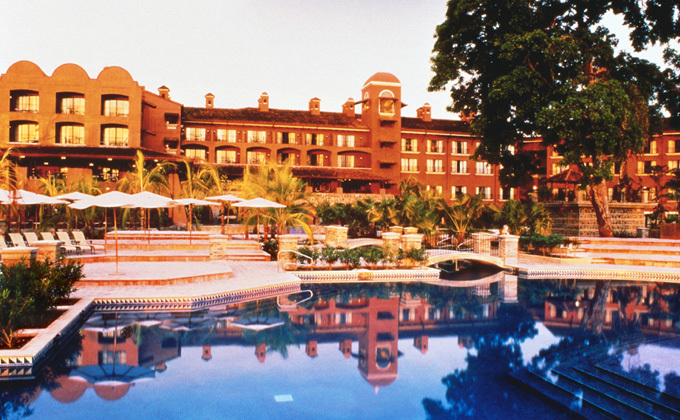 The Marriot Los Suenos resort, voted one of the ‘World’s Best Resorts,’ is fortunately positioned between the Pacific Ocean and 1,100 acres of tropical rain forest. 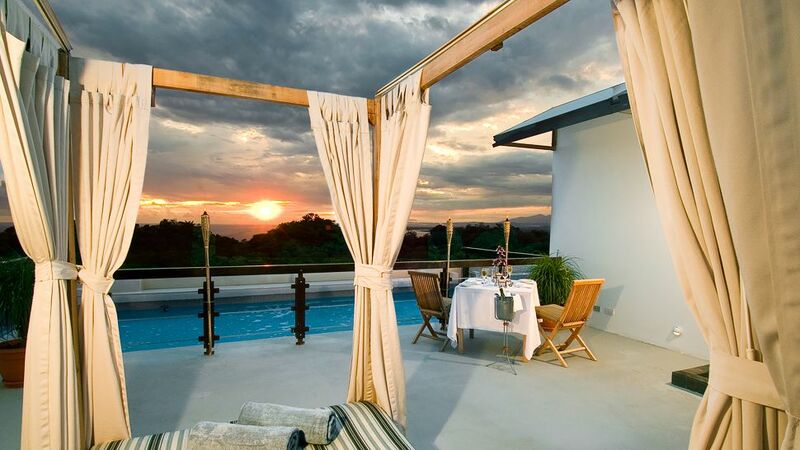 Needless to say, this stunning resort provides incredible views of the ocean, mountains and lush gardens while creating an experience that is distinctly Costa Rican. The natural scenery and the modern one are fusing into a beautiful combination in the Gaia Hotel and Reserve from Manuel Antonio. 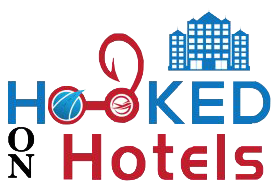 The hotel is fully equipped to serve its guests and boasts breathtaking views and a highly personalized staff. 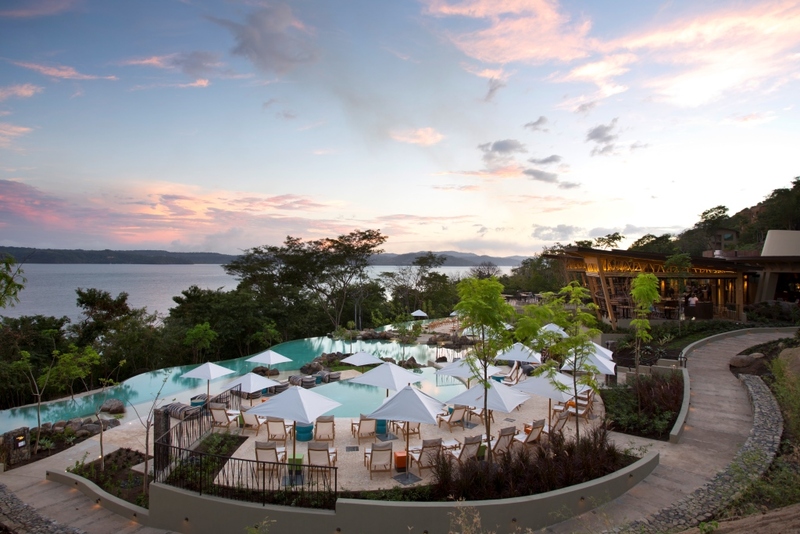 Four Seasons Resort Costa Rica is situated on Peninsula Papagayo and offers its guests 3 swimming pools, a relaxing tropical spa and adventures on land and water. 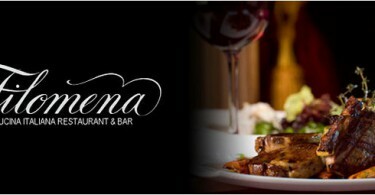 It’s a perfect place for a serene atmosphere and for a complete battery recharge. After describing so many amazing retreats, it’s impossible to restrain yourself from planning such an unforgettable experience. Not to mention that Costa Rica is the perfect destination for newlyweds who are looking forward to starting a new life together.